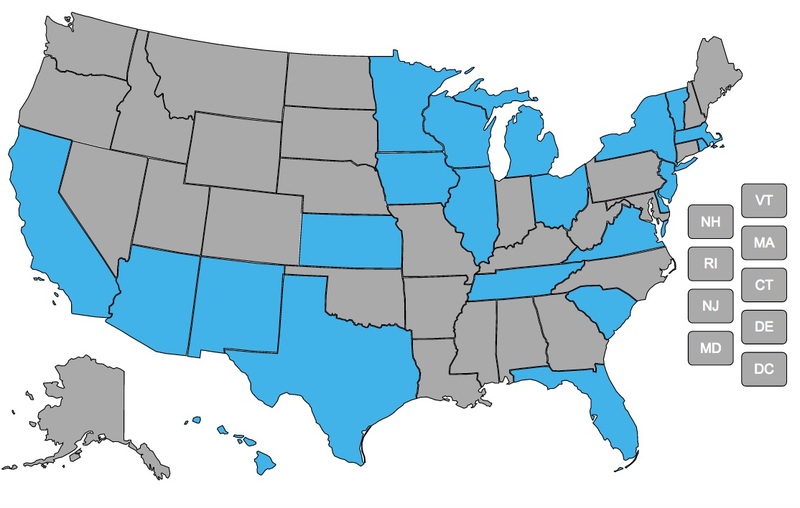 We reviewed managed long-term services and supports (LTSS) contracts for nine states in order to understand the extent to which they promote physical and programmatic accessibility for enrollees with disabilities. Medicare/Medicaid duals demonstration contracts for Virginia, Illinois, Massachusetts, Michigan, New York, and South Carolina contain provisions that represent a ground shift in federal expectations and requirements for physical and programmatic accessibility of managed care organizations (MCOs) and the providers with whom they contract. Although these contracts represent progress, especially because they include provisions related to the social model of disability, some process weaknesses make it difficult for the full benefit of the new provisions to be realized. Outside of the duals demonstrations, Medicaid managed LTSS contracts in Minnesota and New Mexico lack an equivalent understanding of barriers that people with disabilities experience when they attempt to access clinical care, but the New Jersey contract is unique in calling for the state to develop a physical and programmatic accessibility survey instrument that MCOs are required to use to evaluate accessibility of their provider network. In this report, we identify 10 key contract elements that are especially important if MCOs and providers are to improve their capacity to accommodate beneficiaries with disabilities, and we evaluate the extent to which managed LTSS contracts contain these elements. An appendix contains the relevant contract language from the nine contracts we examined.